When you think about what sets one property apart from comparable properties in your neighborhood, it almost always comes down to an outdoor living space. If you take two homes with the exact same interior floor plan and features and throw a large patio on the back of one, almost everyone will choose the latter property. People love spending time outdoors when they have a comfortable space to relax. While there’s a ton of practical value to designing and building outdoor living spaces – and we’ll discuss that in the next section – most people want to start with the financial value. Money talks and homeowners want to know how they can boost their home’s value while simultaneously creating functional space. It’s challenging to paint value with a broad stroke. So much can change from one neighborhood to another – and a lot depends on the existing structure and comparable properties nearby. However, there is some data and research out there that shows just how high returning outdoor living space can be. Take a wood deck, for example. According to the annual Cost vs. Value Report for 2015, a wood deck addition costs an average of $10,048 on a national scale. However, homeowners are able to recoup roughly $8,085 when they sell, which is an 80.5 percent ROI. In other words, the average wood deck addition ultimately only costs homeowners a few thousand dollars. That’s a small price to pay for such a functional outdoor living addition. According to another study, adding a landscaped patio to your backyard can increase property value by as much as 12.4 percent. That more than offsets the cost of the patio itself. In other words, homebuyers value outdoor living space so much that they’re willing to pay a premium just to have it. While specific numbers for all outdoor living space projects are hard to come by, it’s clear that other additions such as outdoor kitchens, fire pits, hardscaping, and grilling stations also add tremendous value to most homes. 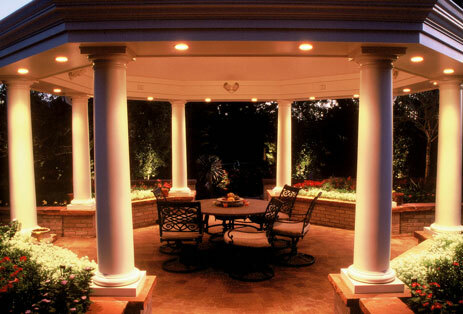 When properly designed and soundly constructed, most outdoor living spaces will bring a high return. But monetary value is only part of the equation. In the meantime, before the money is recouped at the closing table, homeowners want to enjoy their outdoor areas. That’s where the practical value comes into play. Outdoor living space allows you to maximize your property – which is largely underutilized by the modern homeowner. For example, let’s say you own a one-acre lot. That one-acre lot equals 43,560 square feet. If you have a 2,500 square foot home, that means you’re only using roughly five percent of your property (and likely less if you have multiple stories). By adding a functional outdoor living space to your property, you can use more of the property you own. It’s really a simple concept. Why not maximize the resources you have in front of you so that you can entertain, relax, and spend time with friends and family? • Swimming pool. While it may not seem like a typical outdoor living space, a swimming pool is very much an extension of your home. When you host parties, this is where people will congregate. When your kids have friends over, this is where the fun takes place. While it’s one of the more costly additions, it can provide a lot of lasting value. • Screened porch. Everyone loves a good screened porch. These allow you to enjoy the best of both worlds. You get the beauty of the outdoors without having to fight off bugs. And if you install a fireplace or heating system, you can enjoy a screened porch throughout the year. • Fire pit. Over the years, fire pits have evolved form rudimentary hand-dug pits to large-scale productions that add beauty to the backyard. A fire pit is a great way to break up the monotony of a yard while adding a congregational point of interest for cool evenings. • Outdoor kitchen. When entertaining outdoors, it’s much more convenient to have an outdoor kitchen where you can cook while spending time with guests. An outdoor kitchen equipped with a grill, plumbing, and refrigeration makes a wonderful addition to the right property. There are obviously other additions you can take on, but these are by far the most common projects. If you’re looking to make a simple outdoor living addition, you’ll probably want to start with one of these four. While it’s your property, and you can do with it what you please, it’s a good idea to keep the following three tips in mind as you start the design and construction phases. • Don’t overpower the neighborhood. The last thing you want to do is overpower the neighborhood. Real estate value is all about comparable properties and there’s no sense in overvaluing your home in a neighborhood of lesser-valued properties. • Make privacy a priority. You can design the world’s greatest backyard, but if it’s not private, will you be comfortable using it? 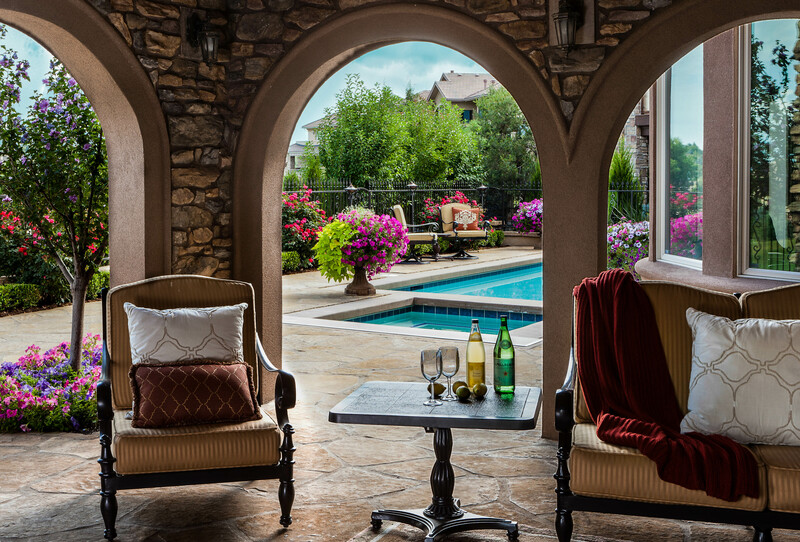 Outdoor living space should be as relaxing as possible. • Think about upkeep. Finally, think about the upkeep. How much ongoing attention will it require? Are you willing to dedicate that time and money? If you can do these three things, your outdoor living space will not only be beautiful and functional, but it will also add value to your property. At Terra Bella, we are Denver’s premier landscape design specialist. If you’re looking to add beauty, functionality, and value to your property, then don’t hesitate to contact us today. We would be happy to show you some of our previous designs and start the process of creating a custom plan that will maximize your home’s best features and deliver one-of-a-kind value. In fact, if you call us today, we’ll gladly offer you a free onsite consultation and $199 off initial design services.